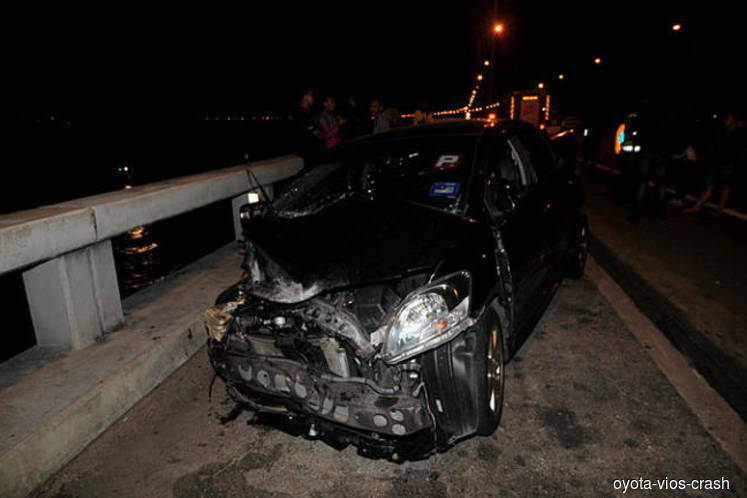 The man who was driving the Toyota Vios (pictured) in the accident was accused of causing the death of his friend, a private college student at Kilometre 4.0 of Penang Bridge heading towards Perai here at about 3am on Jan 20. Earlier the deputy public prosecutor who is also the state prosecution director Yusaini Amer Abdul Karim sought the court to impose bail of RM10,000 in one surety based on the seriousness of the accused's offence. Efforts to retrieve the vehicle and Yun Peng's body from the seabed took more than 24 hours before it was hoisted on Tuesday, Jan 22.